Pros Off the charts in terms of performance and features. Extremely solid, durable construction. Comes with a variety of speeds. Cons More expensive than other units, but its high quality is well worth the extra investment. Summary The best on the market. All the features you could want in a durable unit that will last a long time and will save you money in the long run. Pros Low price compared to competitors. Very easy to set up and use. Cons The platform may be too narrow for some users. 265 pound weight limit. 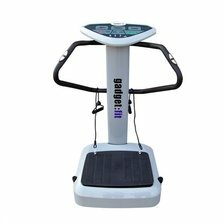 Summary Functional unit with an attractive price, but not as versatile as most of the other competitors on the market, especially the GForce. Pros Solid construction, great built-in programs, huge variety of vibration speeds. Cons Weight limit is 265 pounds, limiting its potential users. Summary The construction, programs and speeds are all great, but it would be nice if the weight limit was higher. Pros Very portable and easy to store - perfect for traveling. Cons Not as versatile as a "full" machine with handles. Summary If you are looking for a portable machine, this durable unit is a good choice. 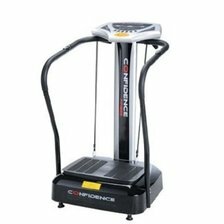 Pros Very affordable, solid base, comes with a helpful manual that outlines various exercise regimens. Cons Some components feel a bit flimsy. Summary A very good unit that has plenty of features at an extremely affordable price. The best value for your money.